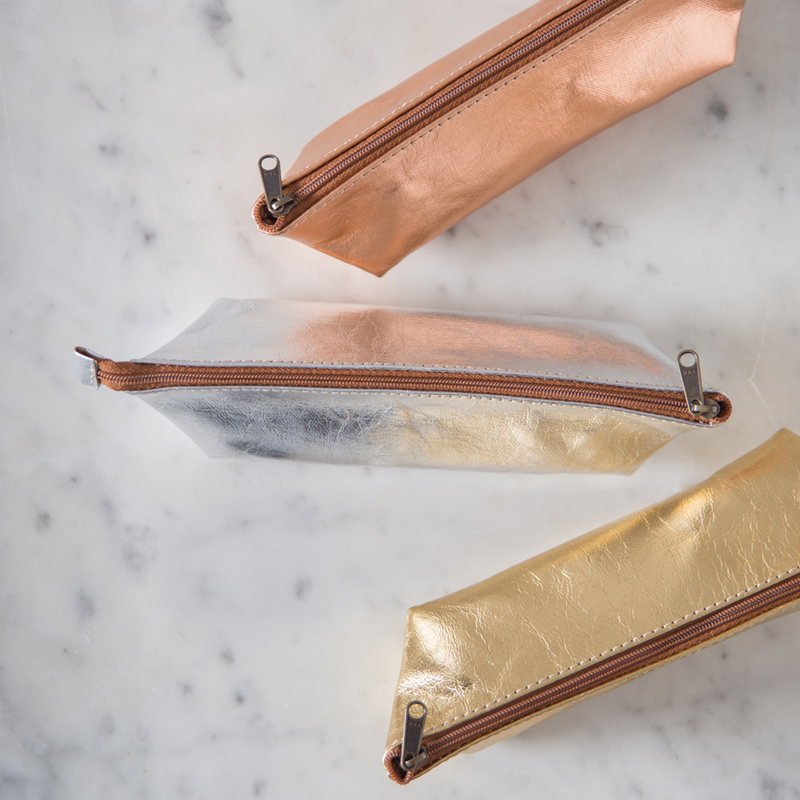 Organise your desk, bag, life with these cool metallic pencil cases. 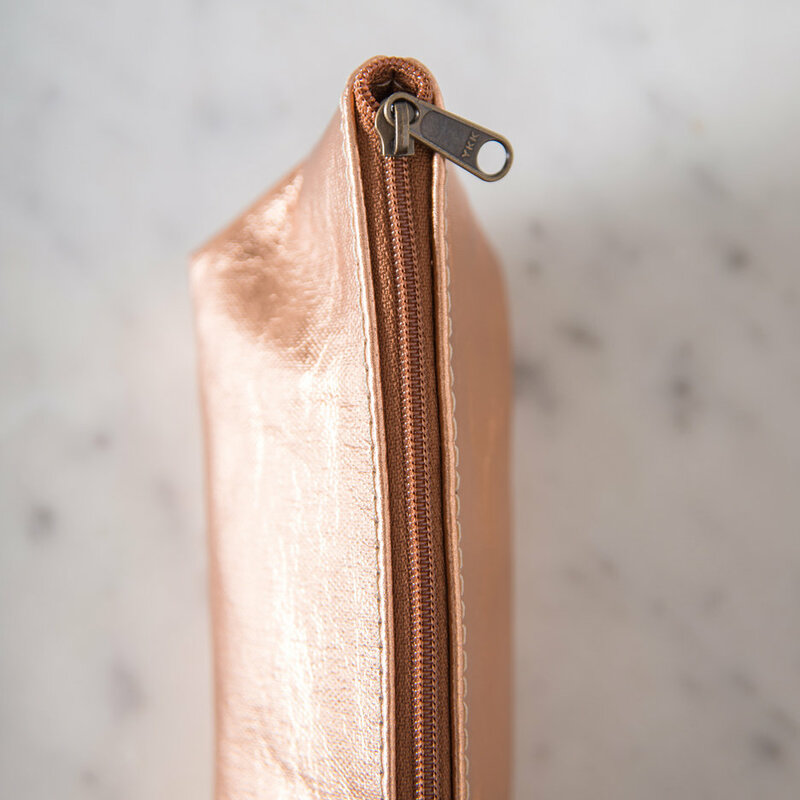 Slim and stylish, this is the perfect sized pencil case for all your stationery needs and who can resist a bit of sparkle with the fab metallic finish. 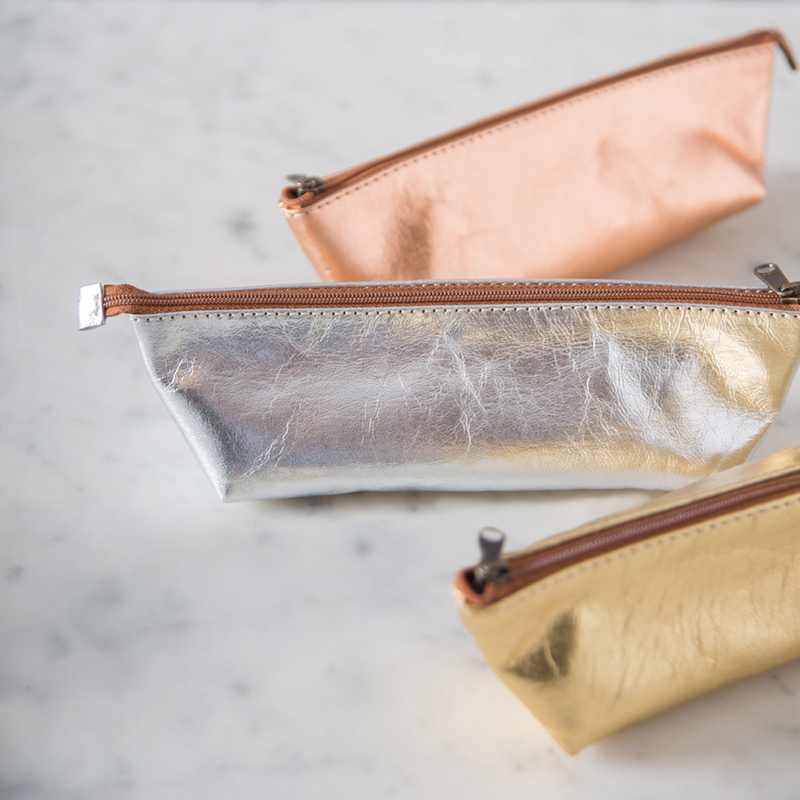 Choose from gold, silver and copper. 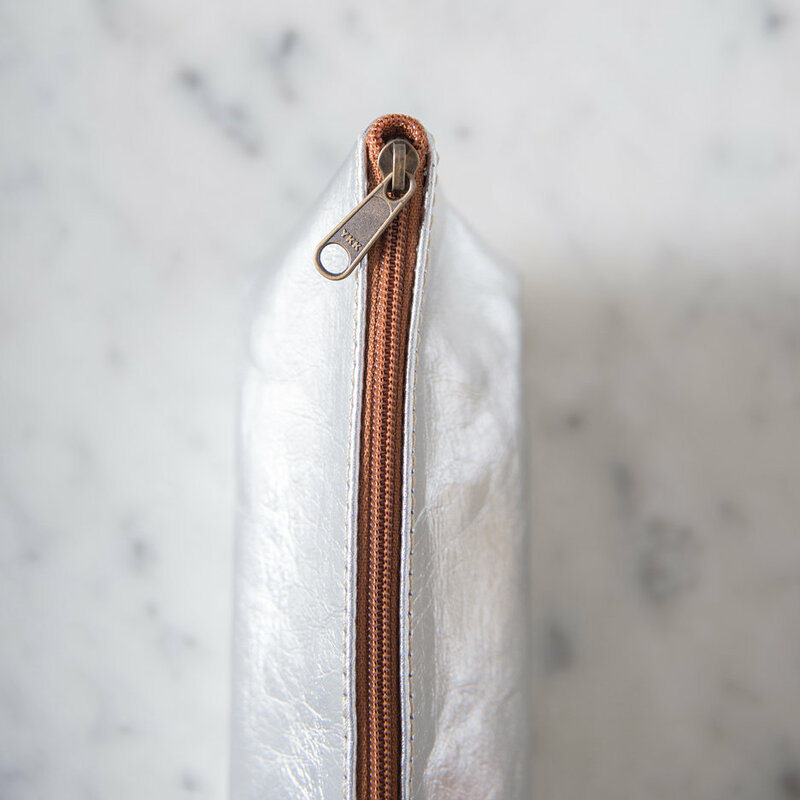 This could also be used as a make-up bag for brushes or just the essentials. 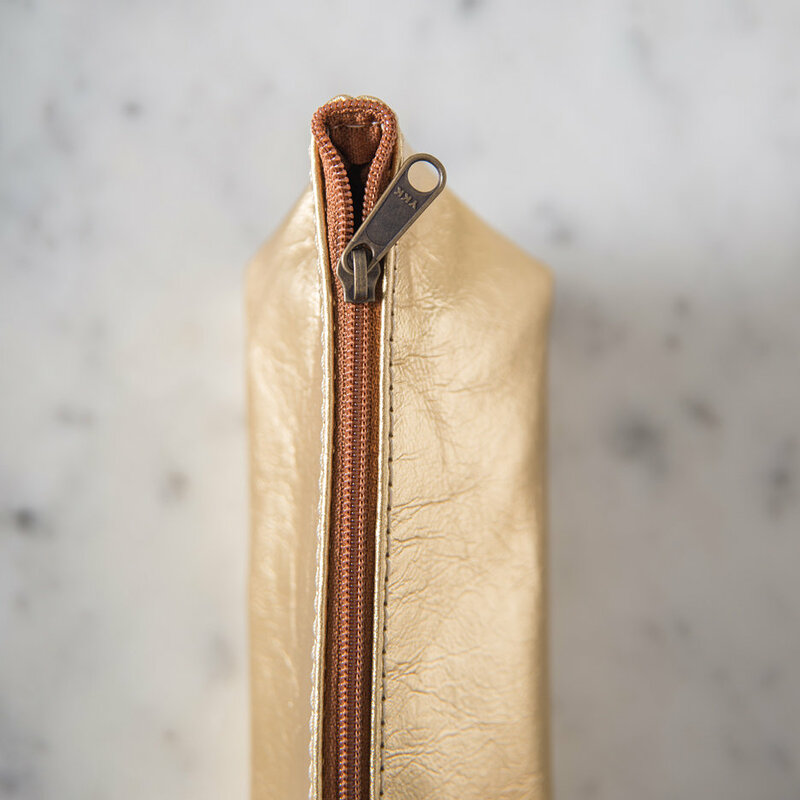 Handmade in Italy from a unique washable paper, it has the look and feel of leather and will get better and better with age. This brilliant and innovative product is made from paper using a cultivated fibre which does not contribute to deforestation and is extremely strong and durable. Uashmama is passionate about combining tradition and functionality with beauty and design. To clean, wipe with a damp soft cloth and mild soap to maintain the metallic finish. Do not machine wash. Do not dry clean.